An Amtrak train collided with a truck in Green Cove Springs and the ramifications were devastating. There were two occupants inside the truck, the driver and a passenger. Tragically, the passenger in the truck, a 38-year-old man, lost his life as a result of this collision. Reports indicate that the crossing rails were working properly and the truck wound up driving onto the tracks, according to CBS 47 News. Deepest condolences go out to the friends and family of the victim. Police are investigating the scene of the fatal collision. The investigation could potentially reveal that either the truck driver or the train operator was negligent in some form or fashion. If that is the case, the family of the deceased passenger may have grounds to seek financial restitution through a wrongful death claim. When a driver makes a mistake or operates the vehicle recklessly, the passenger, or passengers inside the vehicle are essentially at their mercy. This is why it is possible for a passenger harmed in an accident can file a claim against the driver of the vehicle they were occupying, the driver of the other vehicle involved in the collision, or both. In catastrophic injury and wrongful death cases, it may be necessary to pursue claims against the insurance policies of both parties. In most passenger injury cases, a claim will likely need to be filed against a friend or family member. A common question asked is whether the filing of such a claim will harm their friend or family member. The answer is no. When you file a personal injury or wrongful death claim, you are seeking financial restitution from the driver’s insurance company, not the driver themselves. That means any settlement amount or jury verdict is not coming out of the pockets of a friend or relative. Instead, the funds are paid out via insurance. If your claim is not settled before going to trial, your friend or family member will not be obligated to spend money on a defense attorney. This is because automobile and truck insurance policies contain a provision requiring that the insurance company supply legal representation on the driver’s behalf. Most auto insurance companies will eventually agree to compensate a passenger who was injured in a preventable collision caused by their insured. This is because the issue is liability is not relevant when a passenger is harmed in a car or truck accident. If a driver was injured and filed a claim, the insurance company could try to argue that the driver was at-fault for causing the wreck. That argument does not hold water against a passenger. Insurance companies are notorious for making low-ball settlement offers and dragging out the claims process in an effort to reduce or deny injury claims. 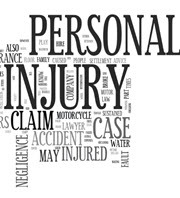 That is why you need to have an experienced and skilled Jacksonville personal injury lawyer on your side who is ready to take on the insurance company. Contact Gillette Law, P.A. today in Jacksonville.